CLEARWATER, FL --(Marketwired - March 02, 2016) - Suncoast Health Brands and ProCharge Liquid Protein Enhancer is proud to announce their sponsorship with the Philadelphia Phillies during the 2016 Spring Training Season at Bright House Field. Suncoast Health Brands owner Clay Desjardine stated, "We are very excited to work with the Phillies organization to help get the word out about ProCharge." 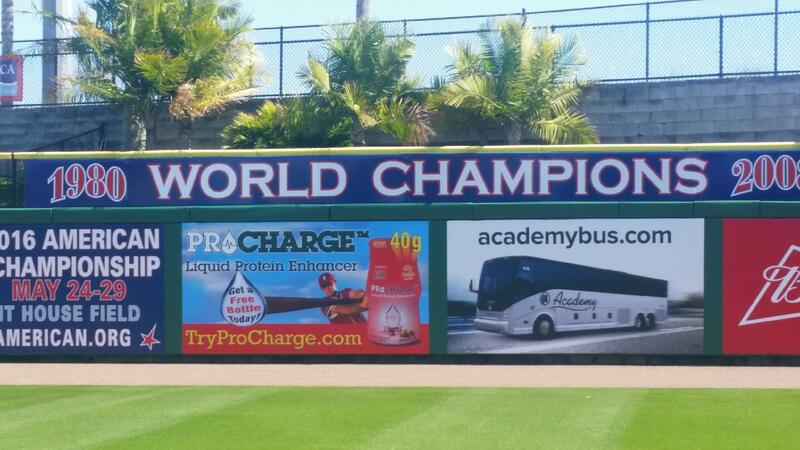 ProCharge Liquid Protein Enhancer will have a banner on the right field wall promoting the launch of their brand and the exclusive limited time only 'free bottle of ProCharge' deal. Visit www.buyprocharge.com to get your free bottle of ProCharge. ProCharge is a Proprietary blend of Hydrolyzed Collagen and Whey Protein Isolate delivering over 20 grams of protein per ounce in a palatable liquid base. The proprietary manufacturing process has resulted in a one of a kind product which can be taken straight, but it is also designed to be blended into water, or other beverages, as well as into food. The advantage of ProCharge (liquid protein) is the versatility and ease of use and the delivery of the highest amount of protein per dose on the market. It also provides all of the branch chain amino acids, the critical building blocks for protein in the body. The product provides one of the highest bioavailability rates of protein on the market compared to other forms of protein. Suncoast Health Brands' entire product line offers exclusive fusions of naturally sourced raw materials that support a healthy life. Suncoast Health Brands maintains full control over the entire product manufacturing process. Every product is formulated and produced in a FDA-registered plant which operates in compliance with current good manufacturing practices (cGMP), the guidelines mandated by the Food and Drug Administration. Every aspect of Suncoast Health Brands' products are tested -- from raw materials to finished products. These standards are tracked in batch production records to ensure consumer safety standards are met and exceeded. All Suncoast Health Brands' products are proudly manufactured in the Tampa Bay Area. Suncoast Health Brands product lines include ProCharge, Suncoast Health Supplements, Suncoast Pet Health and Nu Glacé.